Having your own website is more important than ever. Even people who know your business will first search for a website rather than look for a phone number. There are two options for businesses that don’t yet have their own website. There is the option to host your own website or to setup a Facebook page. Let’s look at when you should look at each option. Hosting your own website will require some expertise. In addition, unless you are hosting on a free service (which I do not recommend for a business) will also have a monthly cost. I would only recommend anyone host and develop their own website if they have specific brand image and products they want to showcase. Your own website allows you a lot of flexibility, but that comes with a cost. You will also have to constant maintain the website to stay up to date with changes in browsers and phones. Regardless of whether you want to setup your own website with your own hosting, you should always get a Facebook page and maintain it. Facebook has over a billion people and some search it exclusively. Some even go so far as to assume that Facebook is the internet. 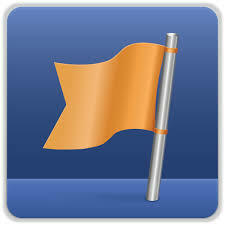 Facebook pages also do not require much by the way of maintenance. Any changes will be checked and fixed by Facebook itself and you only have to upload your profile, information and banner images. Most businesses will need nothing more than a Facebook page. It offers a low maintenance and free method of having an online presence for your business.